Calling all fans of Fantasy Fiction, high adventure and damn fine reads. I have a competition for you that…..Well its just awesome. You cannot buy this prize, I know, I tried to buy some of his work once. If you follow the link you will spot some very famous, and beautiful book cover art. 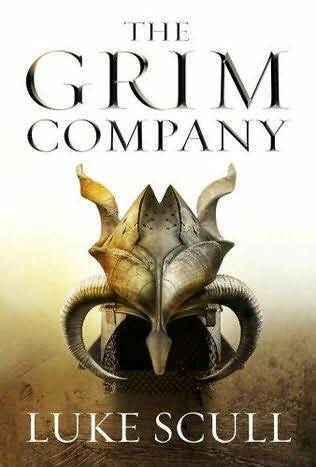 The artwork is an image of the setting for Luke Scull’s novel The Grim Company. The Prize will be framed and signed by the artist. There will be 2 questions. Question 2 will be in the final 32% of the book available to buy for £1.99 March 1st. So if you only buy one book this year…..well you need to read more and when you do, make this one of the first. 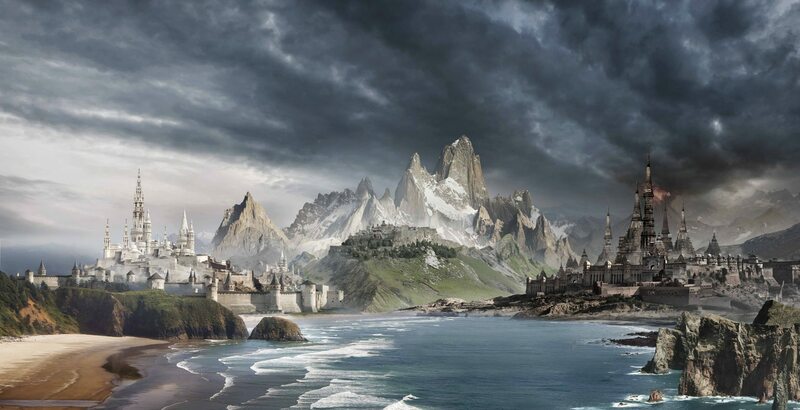 The grey granite walls of Dorminia rise to three times the height of a man, surrounding the city on all sides save for the south, where the Broken Sea begins. The stone is three-foot thick at its weakest point and can withstand all but the heaviest assault. The Crimson Watch patrol the streets even as Salazar’s Mindhawks patrol the skies. Question 1: When was Davarus given the Green Quartz Crystal. The competition closure date is April 5th 2013.